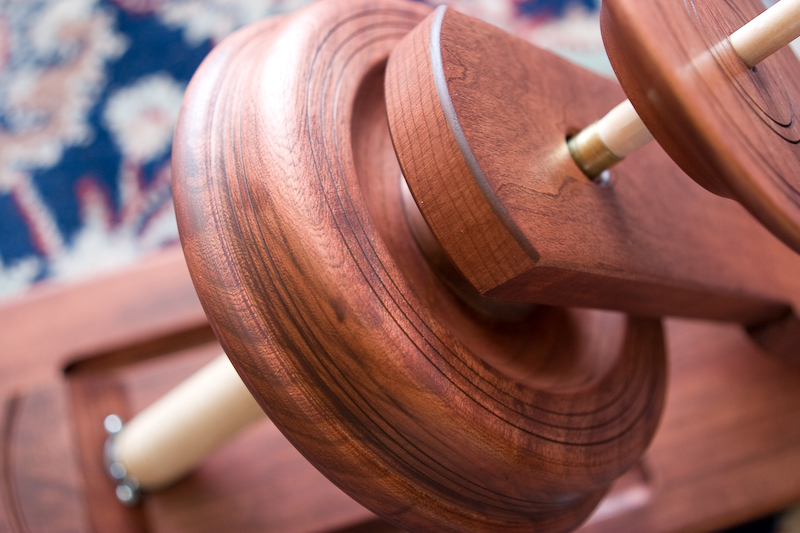 Own one of these functional pieces of artwork designed and built by master woodturner Jim Echter. 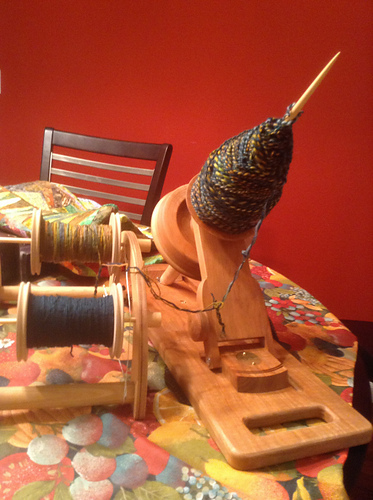 If you always dreamed of having a portable spinning wheel to take on trips, guild meetings or spinning gatherings, we have the product for you. 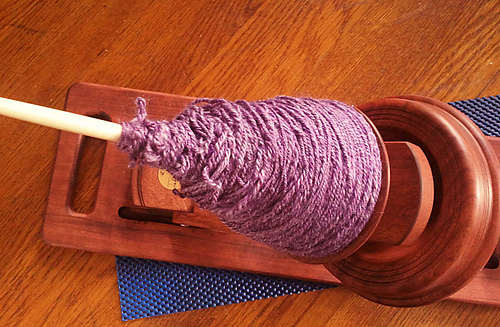 True Creations’ Portable Kick Spindle. 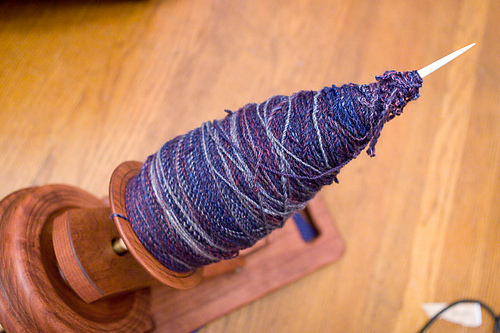 Weighing in at less than 6 pounds, this spindle is designed for the spinner on the go! 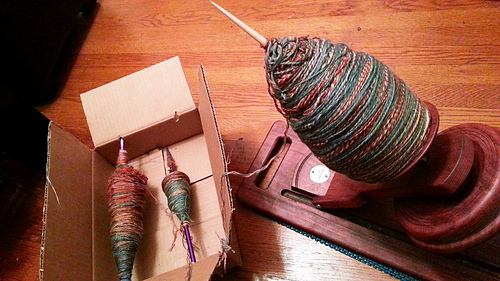 It features a two piece spindle that allows it to fold up into a single self contained unit. The precision bearings enable high rpm and long spin times. 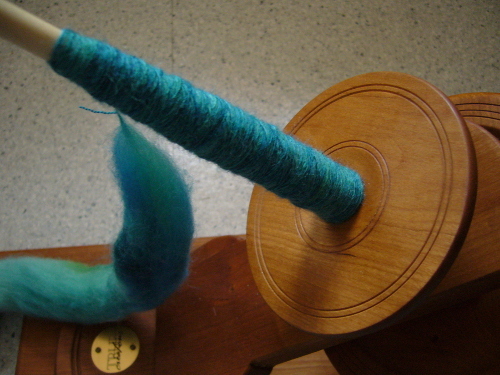 This unit is designed for production spinning and easily handles both long draw and worsted spinning techniques. 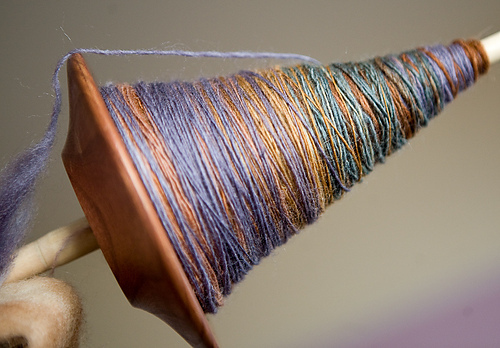 Watch our videos to see how the unit is set up for spinning and how to spin on it. 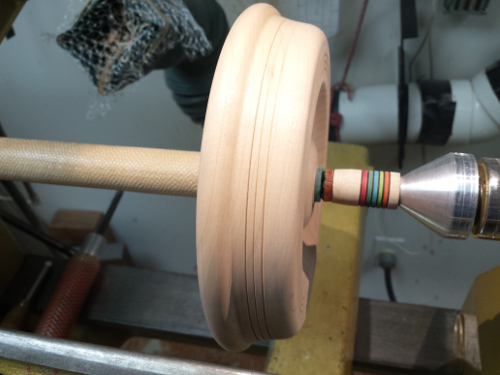 Notice how little effort is needed to achieve the high rpm you are used to achieving with a traditional spinning wheel. 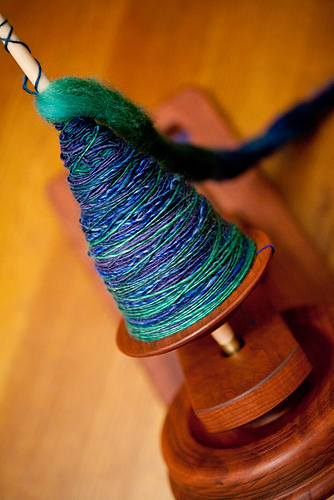 Check out photos from our customers in the gallery at the bottom of this page.